1. Preheat oven to 350 degrees. 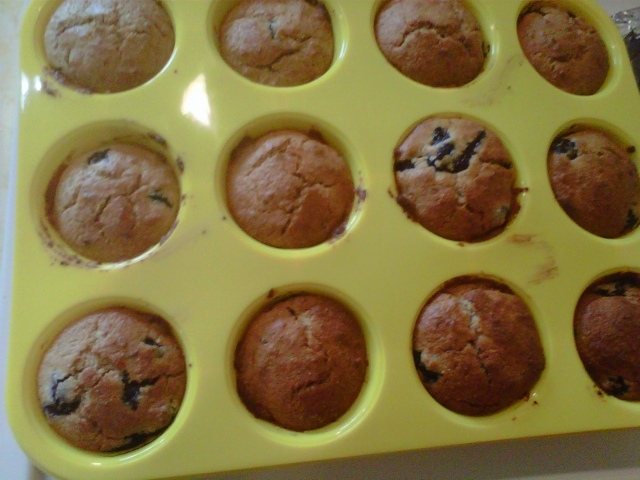 Prepare cupcake cups into muffin mold. 2. Sift flour, baking powder, salt and ground flax seeds into bowl, and set aside. In a mixer beat the butter and splenda until light and fluffy. 3. Beat in the eggs one at a time follow by vanilla. Then slowly beat in flour in 3 addition alternately with mashed bananas. 4. 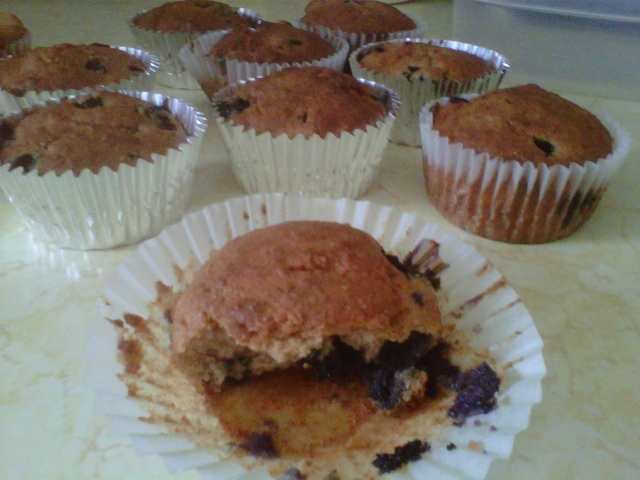 Lastly, fold in the blueberries and pour batter into prepared cupcake pan. Bake for 30-45 mins or until golden brown. Mmmmmmmm….they were good. Especially the fact that it was full of blueberries!! I can’t decide which recipe I’ve liked better!